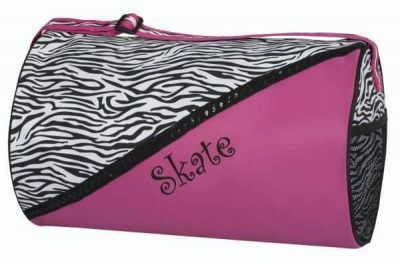 Sassi’s Zebra/Hot pink duffel with sequin trim…now embroidered with “Skate”. Microfiber material wipes clean. Can be personalized.